The fifth annual Canary Derby once again brings together the technology and business communities of Victoria and Vancouver, Canary Foundation of Canada, and BC Cancer Foundation to help support early detection cancer research. Mark your Calendar and don’t miss the Community Event of the Year at Deer Lake Park in Burnaby �”September 25, 2010. The Canary Derby provides an opportunity for Vancouver Companies to join forces with the Canary Foundation and BC Cancer Foundation to help support early detection of cancer research within Vancouver. 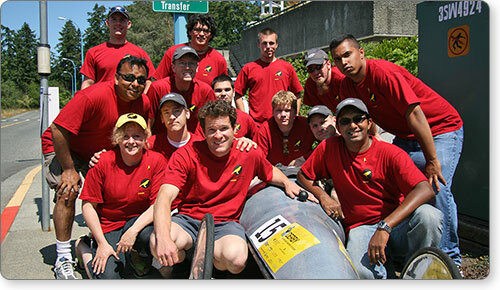 Each team designs, builds and races a soapbox car and organizes their own fundraising activities.